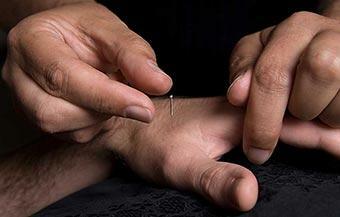 Electro-acupuncture medicine (EAM) applies electrical stimulation of various frequencies to the acupuncture needles. 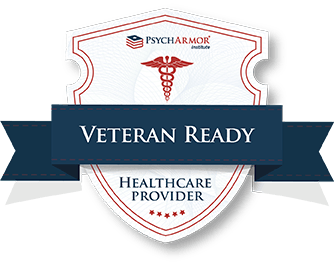 This triggers the release of neurotransmitters and modulates physiological responses of the brain. Among other things, EAM is used for treating chronic or acute pain and inflammation that didn’t improve with the use of the other modalities. Our organs produce electrical currents. Each cell in our body is a tiny battery with charged particles such as Sodium, Potassium, Magnesium and Calcium that uses these particles to produce electricity. Electricity is required for the nervous system to send signals throughout the body and to the brain, making it possible for us to move, think and feel. A disruption in electrical currents can lead to illness. What causes a disruption to electrical currents? Let’s look at how Electro-acupuncture can help with restricted flow of blood that no longer carries oxygen to the cells. When specific electrical frequency is applied to the needles, a negative electromagnetic charge is produced and is taken on by the clumped blood cells. Just like magnets, the blood cells begin to push away from each other and no longer clump together. Blood begins to flow faster, carrying oxygen into the tissues. This decreases the formation of blood clots inside the vessels and drastically decreases the risk of cardiac events as wells as strokes. We can use Electro-acupuncture medicine to treat many conditions. For example, using frequency specific pulses, EAM triggers the nervous system to secret analgesic and anti-inflammatory molecules. We can use pulses of electrons to stimulate specific nerve pathways, such as the Vagus nerve to modify person’s response to stressful situations. From the perspective of Chinese medical thinking, life force Qi, that circulates through our nervous system and Chinese meridians is electrical. Sometimes Qi gets weakened and like a battery, needs recharging. Electro-acupuncture recharges, stimulates, and balances Qi. Simple right? Gua Sha is comprised of two Chinese words: Gua means to rub or scrape and Sha stands for stagnant energy that builds within the body and blocks the movement of Qi. Together Gua Sha means the act of scrapping the skin to remove an energy blockage. This ancient massage technique involves gentle scraping of the skin in a particular fashion to boost circulation and move the lymph fluid towards the drainage points. The lymphatic system is twice as big as blood circulatory system. Where as heart pumps the blood and cleans it with oxygen, the lymphatic system doesn’t have a natural way to circulate on it’s own. Moving the lymphatic fluid is a necessary pathway of detoxification. Lymphatic system is responsible for transporting the immune cells to tissues in need, it rids the body of foreign substances and organisms (like cancer cells and viruses) by trapping and destroying them. In Eastern Medicine the cause of illness is often rooted in stagnation of Qi (or life force energy), which manifests itself in many ways including bloating, water and fat retention, swollen lymph nodes, morning stiffness, joint pain, skin conditions, swollen face, constipation and lack of energy. The lymphatic system is connected to your digestive, immune, respiratory, and circulatory systems. Improving your body’s lymphatic circulation will improve the overall health of many of your bodily systems. There are so many ways to get the lymph fluid moving, including rebounding, dry brushing the skin, exercising, cupping and Gua Sha. Incorporating Gua Sha into the treatment, results in a dramatic release of tension. Moxibustion is a form of heat therapy in which dried plant materials called “moxa” are burned on or very near the surface of the skin. The intention is to warm and invigorate the flow of Qi in the body and dispel pathogenic influences. Moxa is made from dried leafs of Chinese Mugwort (Artemisia argyi or A. Vulgaris). Acrid and warming nature of mugwort leaf quickens the blood, stops pain, disperses cold evils, alleviates depression and arouses Yang. It is a highly effective way to build up the immune function and balance the body’s hormonal system. 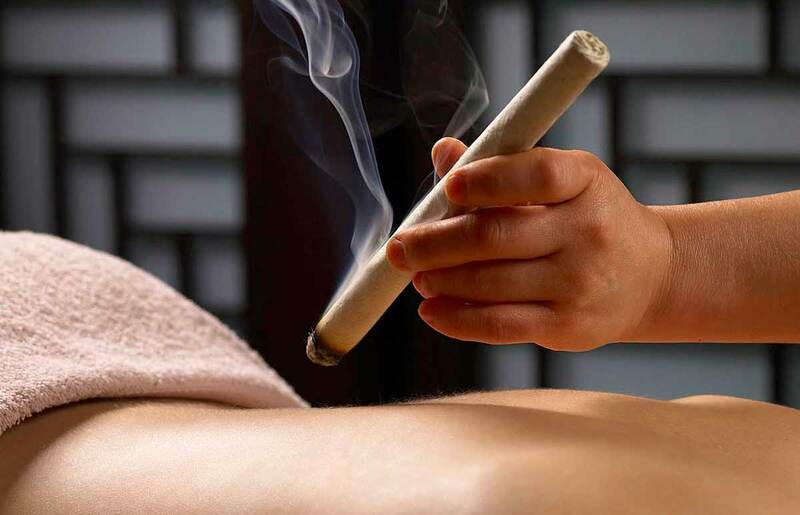 Moxibustion has been used for thousands of years throughout Asia to prevent and treat disease. In Chinese tradition, preventative moxibustion is a technique of “nourishing life”. One of the points on the body through which the life is nourished is the umbilicus. Research has shown that immediately after the application of moxibustion, low white blood cell count rises and remains elevated for days afterwards. Production of red blood cells and hemoglobin increases after moxibustion as well. Due to these biochemical changes moxibustion is effectively used to guard against disease, strengthen the body, and slow down the aging process. It is used after childbirth to replenish energy that was expanded during labor and for internal chronic ailments. For faster cumulative effect, ancients applied moxibustion on “longevity” points in successive sessions. 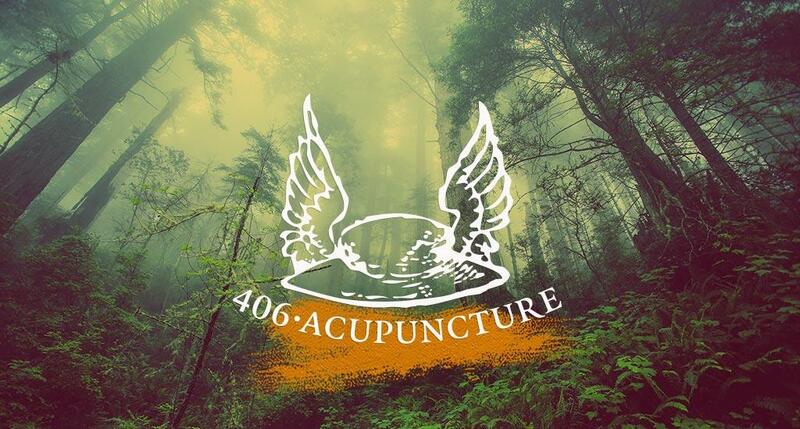 Cupping has been practiced for over 5000 years in many different cultures. In cupping, heat (a burning cotton ball soaked in alcohol) is placed inside the cup in order to remove all the oxygen and create a vacuum. The cup is then applied to the skin, causing skin to swell. The suction encourages blood to move quickly to the surface of the skin thereby pulling the build up of toxins and muscle spasm from the body’s deeper tissue to the surface of the skin. Stagnation of toxins and wastes deep in the muscles or joints causes blockages in the flow of energy (Qi) throughout the body. These blockages, in turn, cause discomfort and pain. Cupping pulls blockages to the surface of the skin where it is much easier for the body to eliminate waste through the superficial blood supply. Cupping is effectively used to treat asthma, the common cold, chronic cough, active congestion of the liver, diseases of digestive, circulatory and respiratory systems, muscle pains, some skin conditions and chronic pain. It is also effective for high blood pressure, neuralgia, worry and anxiety. After a cupping session a sense of warmth and well-being invades the body, accompanied by a feeling of light-headedness and some thirst. There is sometimes a short period of tenderness at the points where the cups have been applied. Almost without exception cupping leaves a slight bruise or a ring mark after first application. Normally bruises fade away within a week. The follow-up treatments result in much less bruising or marking, as the circulation improves and the stagnation is removed. The effects of cupping are immediate. Through cupping, the healing process can be shortened considerably. The body creates oxygenated blood cells for every deoxygenated drop it lets out. Every time the capillaries are bled, the body sends healing chemicals to the affected area. After blood vessels heal, they become stronger than they were prior to bloodletting.